Not as flamboyant as the last two years, however it has real density and sweetness that other wines are lacking this year. Sumptuous, plump and really attractive with an excellent and lengthy finish, I seriously think it is more attractive than their 2005. Great work Mr White! The Wine Advocate - Beychevelle appears to have handled the 2011 vintage in an intelligent manner, producing a soft, round, attractive, medium-bodied wine that, while not terribly deep or powerful, is well-balanced with excellent equilibrium and lots of dusty, loamy soil notes interwoven with black cherry and plummy fruit. 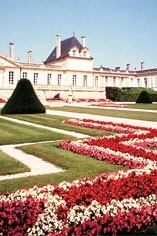 This pretty St.-Julien can be drunk over the next decade. Antonio Galloni - Vivid deep ruby. Perfumed notes of violet, orange peel and sweet spices complement blackcurrant and blackberry coulis on the enticing nose. Juicy, spicy and youthfully tight, showing a distinct peppery nuance and a hint of cocoa. This midweight appears to be shutting down in the bottle but shows very good depth for the year. A promising Beychevelle. Wine Spectator - This has good ripe plum and black cherry fruit woven with a currant eau-de-vie aroma. There's fine-grained structure and an easy, vanilla-tinged finish. Not as dense as the top St.-Juliens. 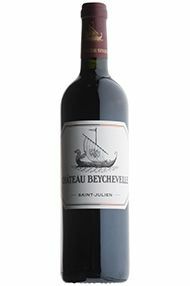 Parker - A medium-bodied, pleasant, lighter style of St.-Julien, the 2011 Beychevelle reveals a dark plum/ruby color in addition to notes of strawberries, black cherries, new saddle leather and hints of herbs and earth. Refreshing and delicate, it should drink well for 10-15 years. Decanter - Well-expressed Cabernet fruit and typical Beychevelle restrained elegance, with more fruit and depth to show as it matures.